Zenit St. Petersburg defeated Nizhny Novgorod at home, 103-78 (19-15, 32-25, 27-19, 25-19). Zenit put on another impressive display of team basketball, dismantling Nizhny Novgorod at SIBUR Arena, 103-78. The home team shot 56% from the field, including 15-25 from beyond the arc and had six players in double digits to secure its second-straight win. This was a huge victory for Zenit, which had slumped to 5-5 in December and risked falling into a tie for 7th place with a defeat. 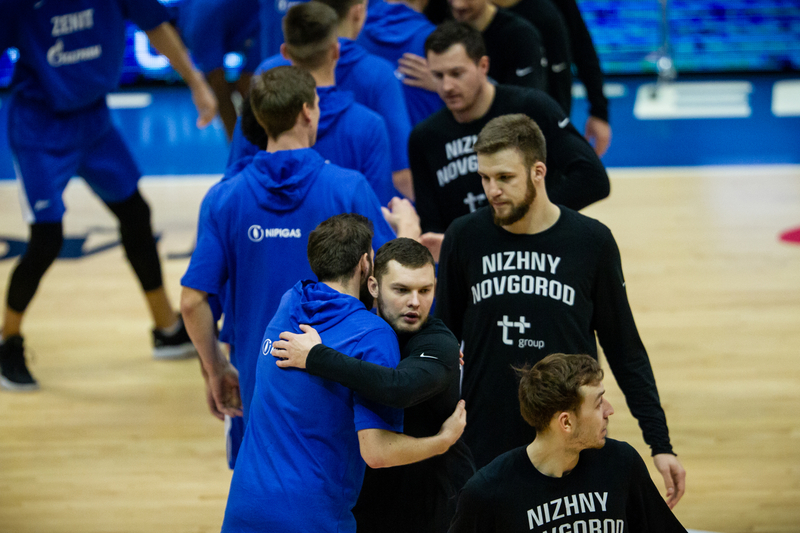 But there was never much doubt in this one, even though Nizhny entered the game as one of the hottest teams in the League and needed a victory to remain in the top-eight. Zenit simply couldn’t miss from beyond the arc. Marko Simonovic was unconscious from downtown, draining five of five attempts, all in the pivotal 2nd quarter. Simonovic’s first triple came at the 5:00 minute mark of the period, extending Zenit’s lead to five, 32-27. Zenit would go up by eight, 38-30, on his his second 3. But Nizhny answered with an 8-0 run to knot the score at 38-38 with 2:19 to play in the half. That’s when Simonovic took over. The Serbian swingman drained three more 3’s before halftime, nearly single-handedly extending Zenit’s to double digits, 51-40, at the break. The 3rd quarter extended Zenit’s rout as the home team scored 10 unanswered points before Ilya Popov finally stopped the bleeding for Nizhny with a layup. By then it was too late, 61-42, in Zenit’s favor. Joan Plaza’s men cruised the rest of the way, securing their second-consecutive win under the Spaniard coach. 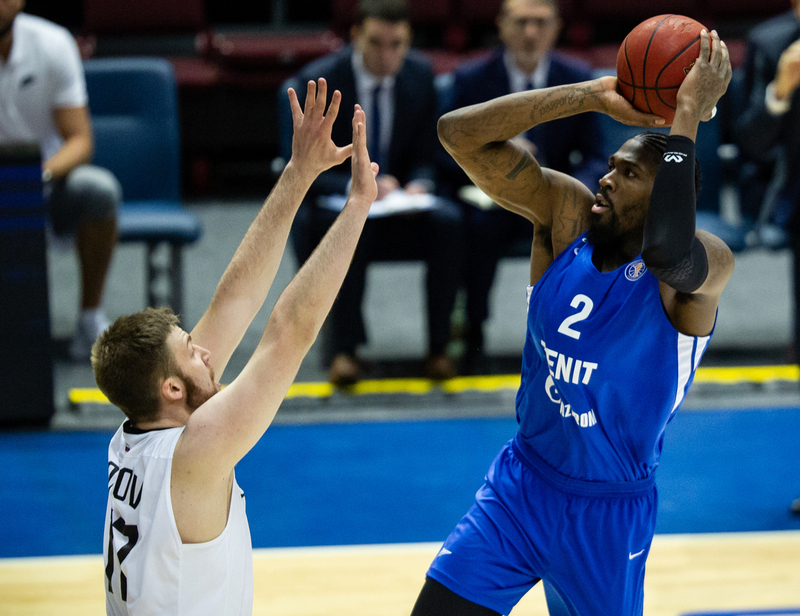 Zenit improves to 7-5, Nizhny drops to 5-7.